I hate mowing grass. No. Let me rephrase – I detest it. My backyard is fenced in and it’s impossible to get my dad’s huge riding mower in so I would have to use the push mower to keep the grass at bay. The other day, my dad (the king of grand ideas, rember?) suggested I get a new lawnmower that would make my most detested task a little easier. No, not one of those fancy green ones with the deer on the side or even the old fashioned spinning blade ones. 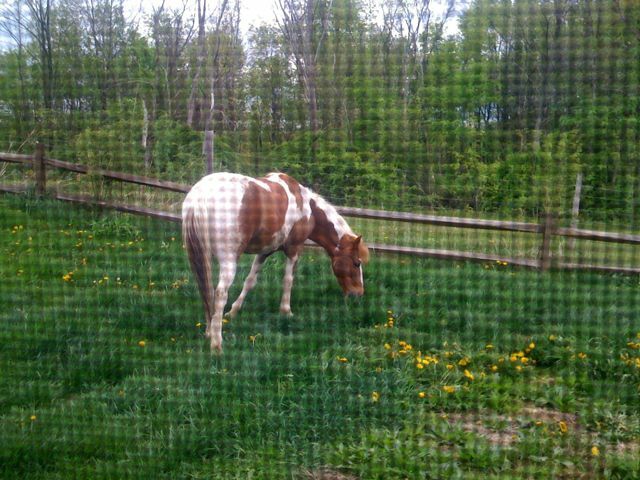 Behold, I present to you my new lawnmower. His name is Star. 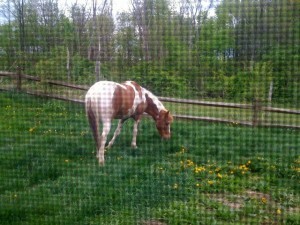 This entry was posted in Life in General and tagged mowing grass, pony on April 25, 2010 by jen.